One of the best historical fictions I have ever read! Chicago, 1928. Deep in the heart of Prohibition, gangs rule the Windy City. Al Capone and the Outfit battle with Bugs Moran and the North Side Gang. There is much corruption in the city, and Governor Small has been selling pardons to gang members and taking bribes to overlook various crooked schemes. Now a society girl named Gwendolyn van Haren has gone missing. Her mother has hired Pinkerton Agents Ida Davis and Michael Talbot to find her. There is a mass poisoning of a party of City leaders with tainted champagne. Al Capone has hired fixer Dante “the Gent” Sanfelippo to find out who arranged this hit against his orders. A Capone man was found dead in an alley, and his black girlfriend was found dead in a sewage canal. An investigative photographer for the Tribune, Jacob Russo, has been following the case. 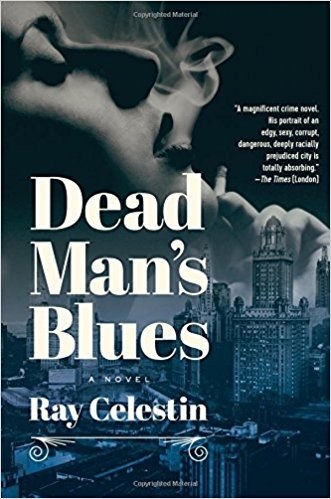 Ray Celestin has done an excellent job of combining real characters such as Al Capone, Bugs Moran, Louis Armstrong and others with his fictional characters. The fictional characters jump off the page, seeming as real as the characters from the real world. The book is a period piece, meaning that it is historically correct. Therefore the prejudices against people of color in the nook are only what was factual. Celestin has no prejudice himself. Ida Davis is a young black woman, and her partner Michael Talbot is married to a black woman. They have children. And they are the heroes of this story! They are presented as well rounded characters, fighting to find their client’s daughter even as higher-ups work to get them relieved of duty! The story is punched up a bit with historical events like Babe Ruth hitting another homer and the boxing bout between Gene Tunney and Jack Dempsey. It is noted by the author that these events occur approximately eight months before the Valentine’s Day Massacre, fixing it precisely in time. I have seldom read historical fiction that unfolds as perfectly as this book. In my opinion, you cannot be bored with this book. It grabs your attention and ropes the reader in like a cowboy with a steer! And like Maxwell House Coffee, it is good to the last drop! I give the book five stars plus! I would love to see more from this author!